If there ever was a perfect amalgamation of two islands together, Koh Tao has to be the one. 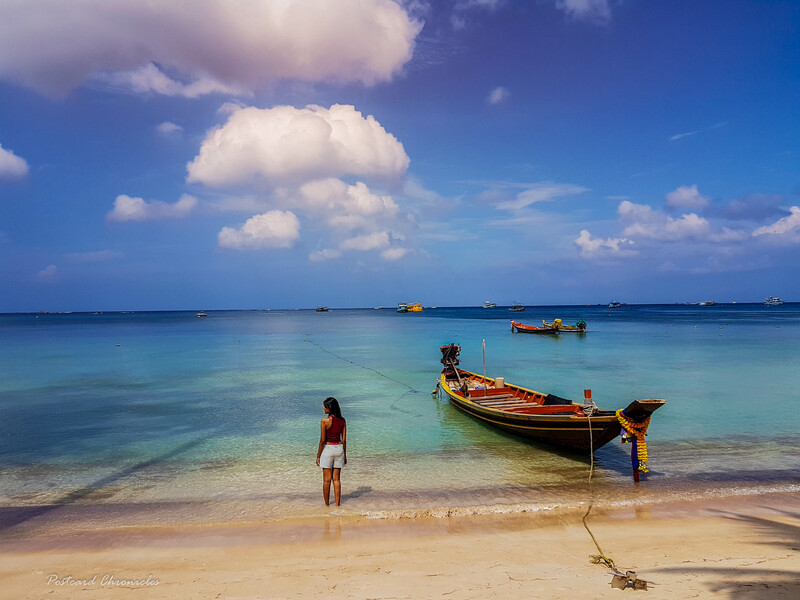 It’s a fantastic mix of busy Koh Samui and laid back Koh Phangan. Though the island is synonymous with diving, there is much more to the place. Hikers and hippies can re-enact an episode from ‘Lost’ in the coastal jungles in their quad bikes. And when you’re Robinson Crusoe-ed out, you can toast the day with sunset cocktails on a white sand beach, then wake up and do it all over again. I have compiled all the details you need to make a trip to this amazing piece of isle on the gulf of Thailand. Koh Tao is bae! The place will surely steal your heart, the moment you set foot on this turtle shaped island, you’ll know why it’s a best kept secret among Indian travellers. Click here to know the reasons why Koh Tao should be on everyone’s list. There is no airport, bus or train station in koh tao. The only way to reaching koh tao is by boat. There are regular boat services that run from the mainland leaving chumphon pier and surat thani, and from the islands of koh samui and koh phangan. Book a domestic flight from Bangkok to Chumphon. Take the train from the airport to Bangkok train station, and go by train to Chumphon. Lomprayah is a good company to travel with. There are combo packages available (bus+ferry). Once on the ferry, you’ll be able to get a snack and drinks. And luckily the ferry has air conditioning and a toilet. One of the best destinations to go scuba diving or snorkeling. The place has a thriving marine life to its boot and the pristine clear waters of Koh Tao is due to its distance from the mainland. Plunge into the water and come alive with the beautiful coral reefs and stunning school of fishes. If you’re looking to get scuba certified, look no further, this place is the ONE! Koh Tao is known for its gorgeous beaches and bays. You can never get tired of walking in the white sand beaches in this island. Chalok baan kao bay: Located in the south, this is the third largest beach on koh tao. It’s a small town where you will find various dive centres, restaurants, bars, clinics and travel agencies. Jansom bay: My personal favourite. A small bay with a small sandy beach, jansom bay is known for its excellent snorkelling. The sandy sea floor makes swimming here good even at very low tide as the water is always deep enough to swim and snorkel comfortably. To access the beach, you will have to walk through charm churee villa. As this is private, visitors will be charged 200 baht per person entrance fee. Freedom Beach: Freedom Beach is the most popular small beach on the south coast of Koh Tao. The beach itself has fine white sand and is fairly shaded with Pemphis Acidula trees, so it’s a great place to relax with your favourite book or to sunbathe. Sai Nuan Beach: Sai Nuan Beach consists of two beaches, Sai Nuan 1 and 2. This is the loveliest hideaway spot with its unspoilt beach of white sand and turquoise water. There is a secret hike one can take to this beach from Jansom bay. Mango Viewpoint: At this beautiful viewpoint, you’ll have a view of Sairee Beach and Mae Haad Bay that stretches all the way to the south. The way up is not the easiest, so make sure you’re wearing comfortable shoes unless you’re that flip-flop kind of person. The entrance fee for Mango Viewpoint is 100 THB. John Suwan Viewpoint: The way up is cool because you’re doing a little hike and the big amount of Palm trees with super clear blue water behind it makes it look like perfectly pure paradise. Koh Nang Yuan Viewpoint: This is an island by itself. You need to take a boat from Koh Tao to this island, which is 30 mins from Mae Haad Pier. The viewpoint at Nang Yuan is definitely the most popular point and a personal favourite too. This is one of the best islands for cuisine tasting. The place offers a diverse range of cuisines from Thai to Sushi, Italian to Indian. On this island of only 21 square kilometers you can find Tex-Mex straight from SoCal, savory Indian, fresh sushi, and truly anything else you can possibly crave. Sairee is the a popular location for a night out, with many beach bars and restaurants dotted along Koh Tao’s famous yellow brick road that leads from Mae Haad up central Sairee. The walk takes around 20 mins to get from one end to the other and makes for a nice walk when the sun has gone down and the heat subsided. The busiest times of the year for the island, where I recommend you book way in advance if you plan to visit during these times, are over Christmas and New Year, and then between July and August. The official monsoon season on the Turtle is in the month of November, where it will be raining for days on end. So go prepared if you want to go during monsoon season. DO NOT GIVE YOUR PASSPORT, rather put down the deposit. This keeps them from withholding your passport and asking for more money. Take pictures of the motorbike. Make sure you get all the scratches, dents and chipped paint. Even underneath the motorbike. This is to show the shop owner that it was there before you rented it. Drive slowly and sober. Rather walk or take a taxi if you are going out at night. The going rate of hiring a motorbike is between 150 – 250 baht a day. Presenting a driver license is usually not required, and please wear a helmet when riding. There are a series of resorts and cottages for every kind of traveller from super luxury to budget hostels with dorms. I would highly recommend Sairee Cottage Resort for a mid-premium stay. The cottage is very clean and hardly 50m from the beach. The property has a swimming pool and also offers PADI certification. People who are taking a open water certification would be provided with accommodation. Koh Tao is an amazing piece of island that deserves to be on every traveller’s list. Koh Tao’s beauty extends far beyond its glittery surface, offering up a plethora of options to do and explore in the island. Do add this place to your Thailand bucket list, will you!